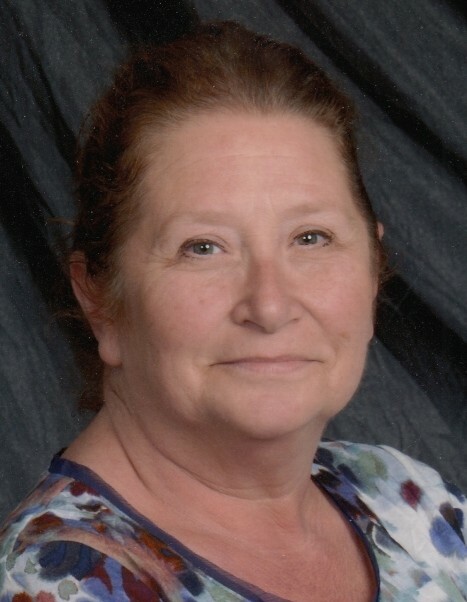 Rosemary Ethel Schmucker of Warsaw, Indiana went to be with the Lord at 6:51 p.m. on Tuesday, November 27, 2018 at Kosciusko Community Hospital of Warsaw at the age of 60. She was born on August 11, 1958 in Bremen, Indiana to Rosa Maxine (Langley) Carter and William M. Carter. She was married in Nappanee, Indiana on August 18, 1979 to Jeffrey “Jeff” Brent Schmucker, who survives. Rosemary has been a resident of Kosciusko County, Indiana for the past 37 years where she was a member of First Christian Church in Warsaw. She graduated from Northwood High School in Nappanee, Indiana. Rosemary enjoyed helping others, she volunteered at Our Fathers House and at First Christian Church both in Warsaw, and over the years hosted exchange students. She enjoyed being the hands and feet of Jesus. Her passion was her family, especially her grandchildren. Rosemary was a mother to anyone and everyone who came to her home…she will be dearly missed by her family. She will be lovingly remembered by her husband of 39 years, Jeffrey “Jeff” Brent Schmucker (Warsaw, Indiana); two sons: Joshua (Holly) Schmucker (Warsaw, Indiana); Grady Schmucker (Kings Bay, Georgia); daughter: Amanda (Jesse) Fritcher (Crown Point, Indiana); six grandchildren: Michael, Emily, Sarah, Alyssa, Dagny, and Elias, four brothers and six sisters. She was preceded in death by her parents, one son Seth and one sister. Visitation will be held on Sunday, December 2, 2018 from 1:00 – 4:00 p.m. at Redpath-Fruth Funeral Home, 225 Argonne Road, Warsaw, Indiana. Her funeral service will be conducted at 10:00 a.m. on Monday, December 3, 2018 at First Christian Church, 115 Park Ridge Drive, Warsaw, Indiana and officiated by Pastor Gary Boschain. Burial will follow with a graveside service at Leesburg Cemetery in Leesburg, Indiana. Memorial donations may be directed to Our Father’s House, 2114 E. Winona Avenue, Warsaw, Indiana 46580 and would be appreciated by the family.